A Weekend Girls Getaway sounds like fun, right? A short, beautiful cruise to the Bahamas would be absolutely amazing. Since you’re probably a bit of an Internet buff you figure you can probably just do it all yourself with TripAdvisor or Expedia. Who needs to add a Travel Agent into the mix? But as far too many people soon find out – doing so is not as easy as you think. In fact, there’s lots of great reasons why a Travel Agent is the just the right person to help you plan and book your weekend girls getaway. Yes, even in the Internet, “Do-It-Yourself” driven world that we live in today. There’s a lot of trips available on Internet sites these days, including cruises. Look, there’s the “Book a Girls Getaway Cruise” button right there. How do you add a sixth person? What is the new rate now? Why are only a few dates coming up, there were a lot more a few minutes ago? I have to pay now? But I haven’t even collected all the money from the girls yet. Booking any trip online can quickly become very confusing. Booking a group trip even more so! But working with a Travel Agent cuts through all of that. Tell them what you want, they get it done – make sure everything is right – the first time. 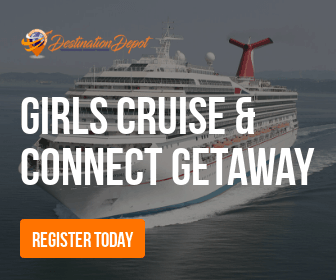 Some cruises, tours and experiences that make for a great weekend girls getaway are only available through a Travel Agent. 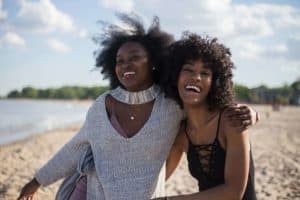 Many companies that offer a lot of exclusive travel packages – as is the case for a weekend girls getaway. And they want to make sure that their customers truly are the right fit for their travel experience. Matching the right Traveler with the right trip ensures that everyone will have a fantastic time. Many times these great travel opportunities are only available through a Travel Agent. 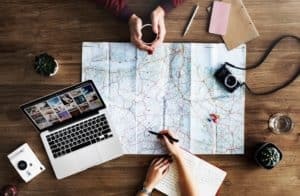 There are a lot of valuable extras that regular consumers booking their own trips via an Internet service don’t ever get to know about that can be added by a Travel Agent. Say for example you booked a trip yourself – and are now wondering why the women at the next table have Complimentary Champagne and nice looking Goodie Bags – and you don’t. Nine times out of ten it’s because they booked through a Travel Agent. And chances are they have a more than a few more additional perks coming their way that you can’t even image, before their trip is over. 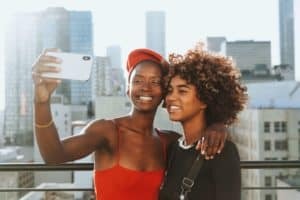 Here are things that the Expedia Bot cares about when you book your girls weekend getaway: Your credit card number…That’s about it. Hey, it’s an Internet Bot, what else do you expect? While they do have Customer Service available – it may only be between 9:00 am and 9:00 pm – and not on weekends. What about the assistance they can provide if you run into a problem while thousands of miles away on your trip? It’s not a lot. They will let you know that they are only a 3rd party service and really don’t have a lot of control over anything. However, with a Travel Agent the first thing they will do is ask you about you and your group. Your needs, your wants, your expectations. And yes, a bit later, your budget. They arrange weekend girls getaways and other trips for real people just like you – not credit card numbers. And they can, and will, do everything possible to ensure that the Weekend Girls Getaway you book is just right for you and your girls, and that you feel – and are treated – like a VIP every step of the way.